Santa Cruz Limo is ready to serve you with exceptional and affordable limo transportation service in the Santa Cruz and surrounding areas. Consider us your one-stop shop for all your transportation needs. Whether it is basic car service to the airport, a group trip to Napa, or something more extravagant like a wedding, we have the perfect vehicles to accommodate all your needs. Our rates are by far superior compared to other limo companies and we have hands-down the most attractive fleet in all of Santa Cruz. Just have a look! Our service, our prices, and our fleet are unmatched and you won't find it any better anyplace else. Expect personalized and individualized attention from our staff and our professional drivers. Our friendly staff can help customize the trip to meet your needs and price budget, while our drivers will ensure prompt door service, on-time arrival, and any assistance you may need while in our vehicles. You will not be disappointed with our fleet selection. We perform regular cleanings to keep our limos sparkling inside and out. We also don't carry old outdated limos with old faded interiors. 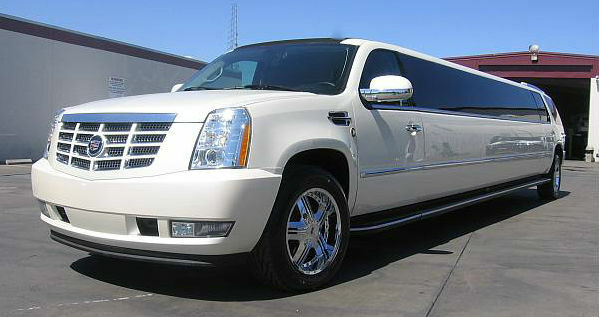 Our limousines are beautiful with nice upholstered interior and state-of-the-art amenities for your traveling pleasure. Our stretch limos are equipped with flat screen TVs, DVD, CD player, music hook up, great sound system, fiber optic lighting, a full refreshment bar, stylish lounge-style seats, and complementary beverages. You can feel rest assured to know that all of our vehicles are insured and licensed for complete passenger safety. Additionally, regular maintenance and inspections are conducted for added safety. Give us a call today to inquire about our services and rates. We are more than happy to answer any questions you may have and assist with finding the perfect transportation for your upcoming event.